What’s a Sci-Fi contest without entries from the longest running sci-fi TV show, Doctor Who? Ah yes, the iconic Sonic Screwdriver, able to get the Doctor out of almost any jam — with style. Started this project over a year ago, [Daniel] figured a Sci-Fi contest was a good enough excuse to get around to finishing it. Using a Raspberry Pi and a microphone, the lock unlocks when the python script detects a sound signature that matches previously recorded Sonic Screwdriver’s hums — meaning friends with novelty Sonic Screwdrivers can join in the fun too — if he lets them. When the correct sound sample FFT is detected, the door is unlocked using a transistor that is connected to an electronic door strike. When completed you’ll be able to show off your true Whovian nature, and impress your friends! Inspired by the augmented reality TARDIS that is actually bigger on the inside, [Mike] and his wife are working on creating one that doesn’t need a smart phone to enjoy. Instead it uses head tracking and an LCD inside the door to create the illusion of a cavernous inside! A head tracking Tardis! A webcam tracks your head’s position, which then changes the perspective of the interior of the TARDIS on the LCD — we’re getting giddy just thinking about it! 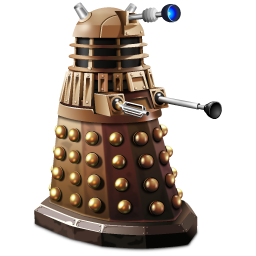 While there isn’t too much information on this project, [th3c4rd] is planning on creating a Doctor Who Voice Modulator which will allow you to sound like your favorite villains with the press of a button! Using a ring modulator for the effect, [th3c4rd] plans on making his own, since commercial ones will run you upwards of $200! He’s still looking for a team-mate for the project so if you’re interested in helping out, get in touch! Still haven’t entered the contest? Don’t worry — there’s still time for you to put an awesome Sci-Fi project together to win some crazy cool prizes! to bring up a window that allows you to view the other pics from the rest of the article. Just don’t tell the mag, I’ve still got to make a script to dump all those pictures before they eventually drop the “legacy” site for the new one. Thanks for that trick, let’s hope they’re too lazy to ever finish the switchover!